KNOXVILLE -- The Tennessee Theatre turns 90 years old on Oct. 1, 2018, and to commemorate the milestone, the Official State Theatre of Tennessee is celebrating over a period of 90 days. From Sept. 29-Dec. 31, the public is invited to attend and engage with the theatre through special anniversary events; giveaways; free tours and open houses; and a curated social media campaign that will include historical photos, fun facts and more. Noted anniversary events include the Tennessee Theatre 90th Anniversary Gala on Sept. 30, featuring bluegrass/Americana musician Alison Krauss, the most-awarded singer in Grammy history, and a prohibition-era cocktail party on Sep. 29. Tickets for both events go on sale to the public Friday, July 27. • Saturday, Sept. 29: Party Prohibition-style with a nod to the Roaring Twenties, when the Tennessee Theatre first opened. The 90-Year Speakeasy event includes dancing, themed cocktails and more surprises at the majestic downtown theatre. Tickets are $90 plus service fees and go on sale July 27 at 10 a.m.
• Sunday, Sept. 30: Beloved bluegrass musician Alison Krauss returns to the Knoxville stage for the Tennessee Theatre 90th Anniversary Gala. In addition to recognizing the theatre’s past 90 years, the event will raise funds for the nonprofit’s ongoing preservation and free community events. VIP tickets, which include prime seating, reception and silent auction, are $250. Concert tickets are $85 and $65 plus service fees and go on sale July 27 at 10 a.m.
• Monday, Oct. 1: Mighty Musical Monday, the Tennessee Theatre’s free monthly daytime event featuring Mighty Wurlitzer organ performances, coincides with the theatre’s actual 90th anniversary date. In addition to celebrating the theatre’s opening in 1928, this very special Mighty Musical Monday also will honor Dr. Bill Snyder as he retires as the theatre’s House Organist, a position he has held since 1979. Doors open at 11:30 a.m., and the event starts at noon. Brown bag lunches and snacks will be available for purchase, or guests may bring their own lunch. • Monday, Oct. 1: The evening will feature a lineup of on-screen entertainment typical of the Tennessee Theatre's early years as a movie palace. Patrons will enjoy a vintage cartoon, timely newsreel, comedy short, Mighty Wurlitzer organ performance and screening of a vintage film from the 1920s. The program begins at 7 p.m. and admission is free, but patrons are welcome to bring 60 cents as a symbolic purchase of a 1928 opening-day ticket. The Tennessee Theatre officially opened as a movie palace on Oct. 1, 1928, showing “The Fleet’s In” starring Clara Bow. Nearly 10,000 people attended, and guests also enjoyed a newsreel and musical performances including the Mighty Wurlitzer organ. Throughout the next 90 years, the Tennessee Theatre changed and evolved, struggled and flourished, and after undergoing a nearly $30 million renovation, officially reopened Jan. 14, 2005, as a dazzling entertainment palace with 21st century technical amenities and a fully restored decorative interior. Shortly following the renovation and reopening, Krauss and her talented band, Union Station, performed as part of the theatre’s first subscription series, selling out two shows on the Tennessee Theatre stage. The 90-year history of the Tennessee Theatre is rich with stories of performers, patrons, parties, poignant events and pop culture. Theatre staff have been gathering firsthand accounts of these memories from the public and key individuals, capturing and preserving the oral history and impact of the Official State Theatre of Tennessee in Knoxville and beyond. Those stories will be shared in person, on social media and in other ways throughout the anniversary celebration and beyond. More activities, tours, stories and surprises will be shared throughout the 90 Days for 90 Years celebration, and a full list of events is available at www.tennesseetheatre.com/90years. Follow the Tennessee Theatre on social media for regular updates, using #90daysfor90years: @tntheatre on Twitter, Tennessee Theatre on Facebook, @tntheatre on Instagram and tennesseetheatre on Spotify. For ticketed events and performances, purchase tickets online at www.tennesseetheatre.com, call the box office at 865-684-1200 or visit the box office on Clinch Avenue during regular business hours. Leading sponsors for the 90th Anniversary celebration include Delta Dental of Tennessee, Pilot Flying J and AC Entertainment, among others. For information on sponsorship opportunities, contact Lila Honaker at lhonaker@tennesseetheatre.com or 865-684-1200. 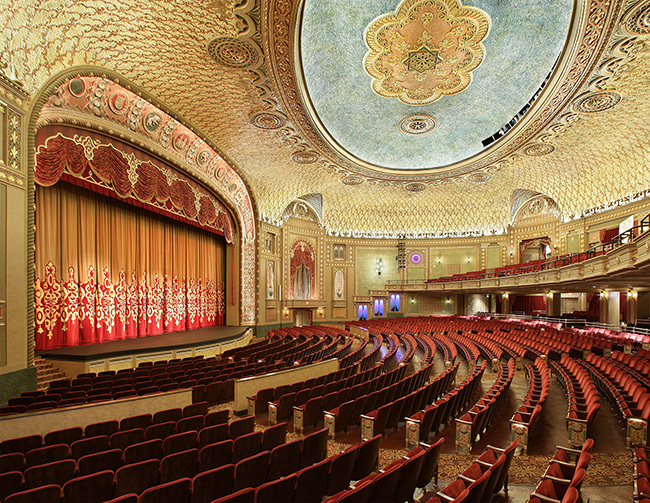 For more information about the Tennessee Theatre, visit www.tennesseetheatre.com.